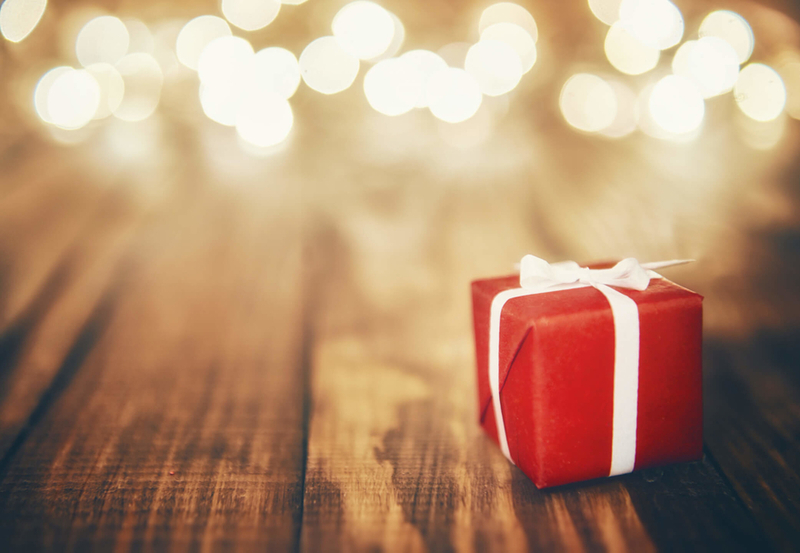 Do you ever wonder why gift-giving is a part of our Christmas tradition? It’s the time of the year when we find ourselves more mindful of the needs of others, and more generous with our time and money. It seems that as soon as the Thanksgiving leftovers are put away, the air begins to shift. The perfect tree is selected and wrangled onto the car. Multiple trips are taken to the attic in order to uncover the lights and ornaments that were hastily stored away last January. A prayer is lifted that every bulb is still intact on the strands of Christmas lights. And when the final decoration is placed on top, it is time to stand back and admire the illuminated beauty of it all. However, that is just the beginning of the season. Now it is time to add the brightly wrapped presents to sit under the tree. Why is it that the Christmas season brings out such a spirit of giving? It’s because the season is centered around the truth that a great gift was given to mankind in the form of a tiny baby. Whether you are a Christ-follower or not, it doesn’t change the fact that the spirit of giving stems from the timeless truth that God gave the world the ultimate gift when He gave us His Son. Who wouldn’t want to unwrap the gift of eternal life? I’m grateful to serve a God who showed me the true spirit of giving by giving me the greatest of gifts, His Son. Thank you again! I needed reminding this year of why I needed to take the time, energy, & funds to shop for everyone. Now I’m in a shopping spirit–for the right reason. Thank you, Jesus!